January has been a big month for Quest Apartment Hotels, with a new property in development and staff taking out Australia Day honours. 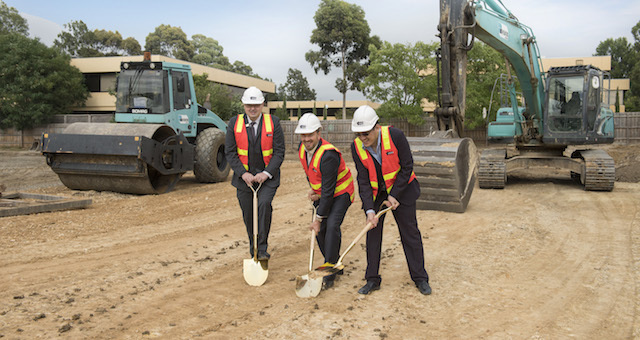 Quest Apartment Hotels is continuing its expansion in Victoria, with construction commencing at the Quest Burwood East development, at 315 Burwood Highway, Burwood East. The new property, being developed by OAM, coincides with the major redevelopment of the former Burwood Brickworks site. Located approximately 15km east of the Melbourne CBD, the Burwood Brickworks redevelopment will consist of up to 950 dwellings housing more than 2000 new residents, open spaces and a civic boulevard fronting an integrated retail centre. Whitehorse Mayor Councillor Andrew Davenport was on site on Monday (29 January) for the sod turning. He was joined by OAM Director, Kian Chong Loh and Quest Apartment Hotels general manager for growth, James Shields. The property will feature 91 studio, one, two and three-bedroom apartments, over five levels. The development also includes onsite parking, a business lounge and gym. Quest Burwood East will be the 56th Quest property in Victoria and is expected to open in early 2019. Earlier in the month, Quest Toowoomba staff were named amongst some of the country’s most inspirational people and businesses at the 2018 Australia Day Achievement Awards, recognised for their efforts in the 2017 fire evacuation. Quest Toowoomba caught fire on June 13 last year, after a blaze broke out at an adjacent property. 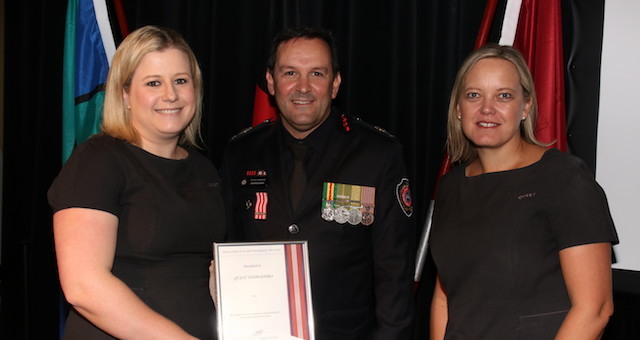 Queensland Fire and Emergency Services (QFES) acting superintendent Paul Evans, acknowledged the commitment of Quest Toowoomba staff in ensuring the safety of the community. “The QFES acknowledges the commitment and dedication shown by the staff of the Quest Toowoomba hotel on the night of the fire and their assistance by successfully evacuating 90 residents. The on-duty staff followed their established emergency evacuation procedures, leading to the safe evacuation of the residents,” said Evans. The property evacuation was led by front office manager Angela Fowler and general manager Cynthia Rice. Rice explains: “We evacuated 88 people into five properties. There were 52 firefighters, 12 trucks, media, eight police cars, two maxi cabs and her [Angela] and I. It was freezing cold, midnight and black smoke filled the air. Her commitment and focus under these circumstances was outstanding. “Angela was focussed only on guest safety and worked efficiently and effectively to evacuate the guests, move them to safety, organising alternative accommodation and arrange transport, as well as liaising with emergency services and handling enquiries– and all with a smile,” said Rice. Guests recounted the professionalism of the Quest team and Cynthia Rice in particular, commenting on the remarkable lengths they went to in finding alternative accommodation in the middle of the night. Among the 88 evacuated guests were two judges who were successfully relocated and able to continue jury trials without interruption. The property will reopen its doors on Monday February 19.